Panasonic Systems Solutions of North America specializes in entertainment technologies for the professional AV market. 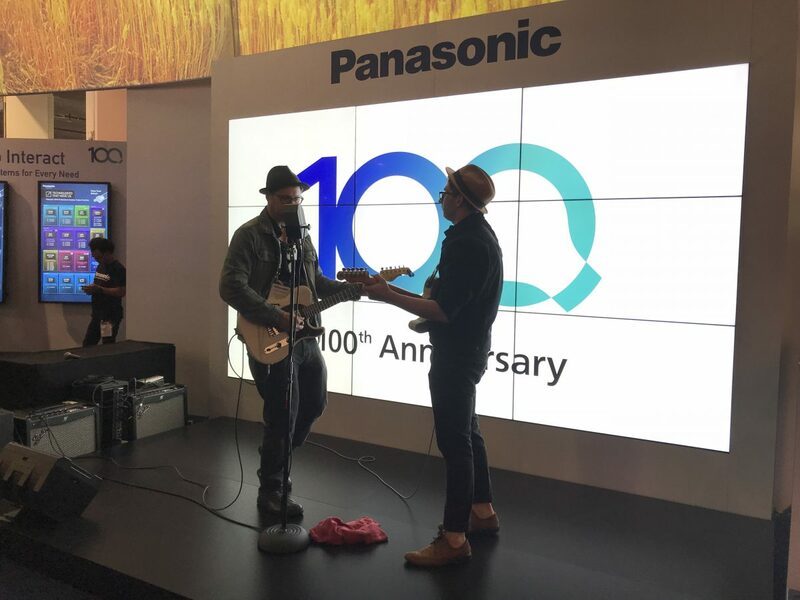 At InfoComm 2018 – the largest show in the US for audiovisual technology – Panasonic wanted a killer demonstration showing how it’s pushing the limits of live event technology for concerts, stadiums, houses of worship and more. The mission was to demo all its tech in action at once – live in the booth – including remote cameras, high-performance projectors, professional audio systems and the av mixing technology used to control them all. The main goal? To powerfully demonstrate Panasonic’s ability to provide complete live event solutions, not just individual components. Achieving this goal involved several key challenges. One was to create a live, engaging content within the booth to feed the show. 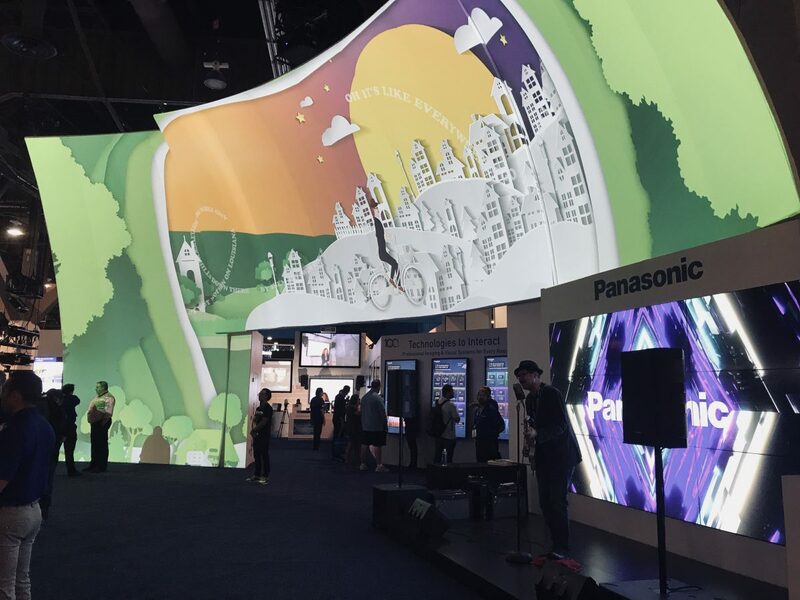 The second was to share that live content using Panasonic’s technology in a way that would wow visitors with an amazing, full-blown immersive experience – big and exciting enough to compete with everything else on the show floor. The third was to allow visitors to peek behind the curtain and see the people and systems creating and running the show. So here is what we did. 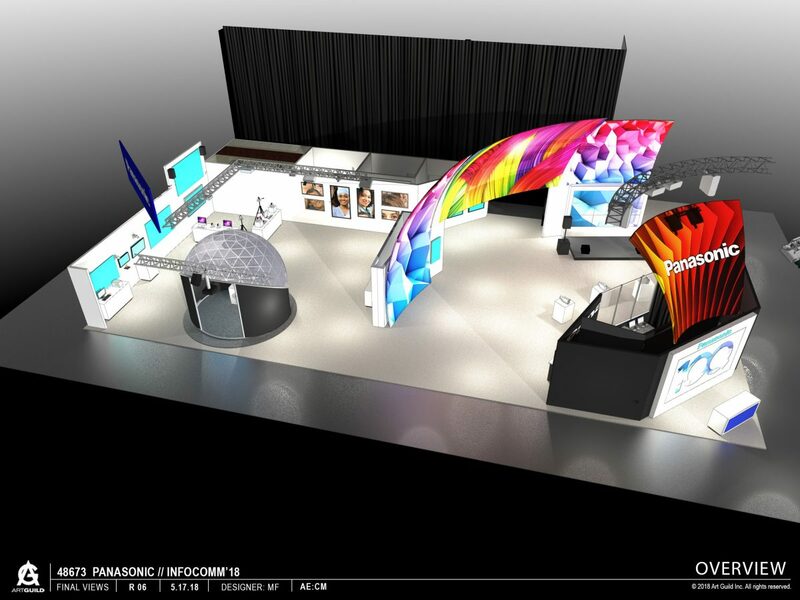 About 60% of the 50’ x 90’ exhibit space was used to create the Panasonic “Live Production Zone” (see floor plan image above). 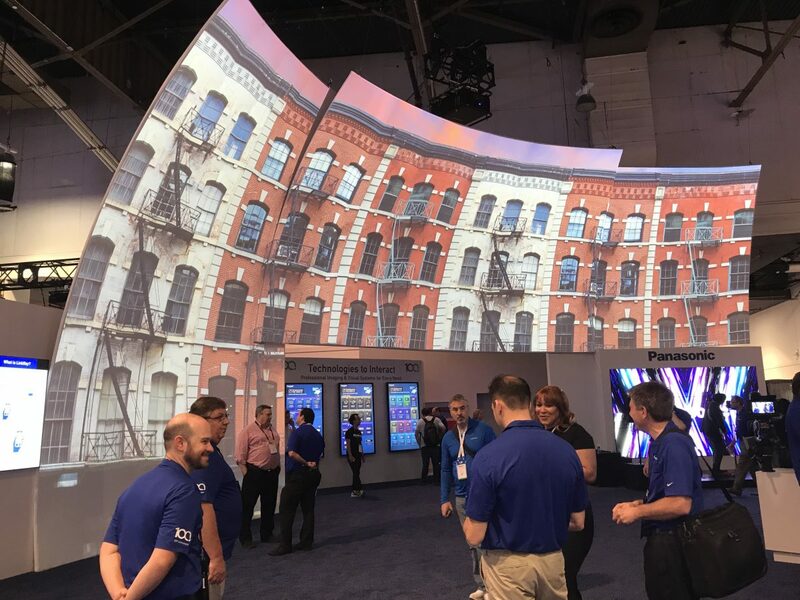 The Zone enfolded the front and back of this space with two massive, curved multi-piece, “pillow case,” fabric projection screens – one 50’ wide and the other 25’ wide. Multiple in-booth cameras and projectors used these screens as a backdrop for a live show created by mixing a live in-booth produced stage show with web-based images and graphics. 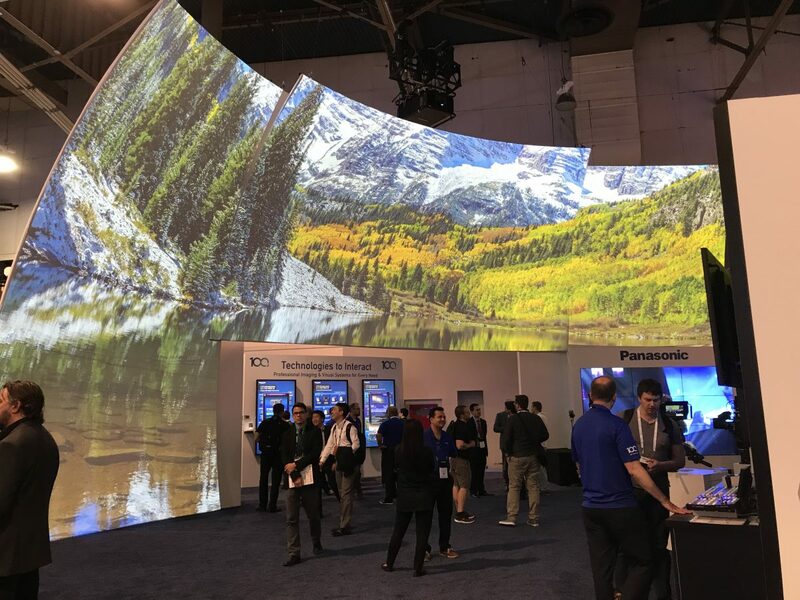 Exacting integration of multiple projectors resulted in a single, massive 4K image on each screen, and a stunning immersive experience for the audience. The 2-sided screens allowed images to be seen from inside the booth and from the aisle, making the show an effective attract from across the show floor. A gateway through the main 50’ screen, that divided the booth in half, invited visitors to see the other side of the exhibit where they could get a close up look at the technology behind the show, as well as a variety of other Panasonic technologies. The show’s content took the liberty of reminding the audience that Panasonic is celebrating its 100th anniversary in 2018. Watch a video below featuring shots of the exhibit and some of the other Panasonic technology it showcased.